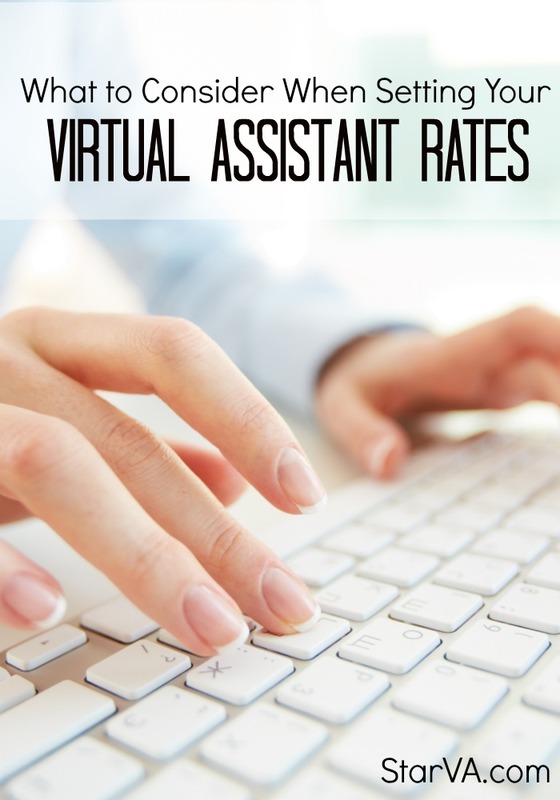 Setting your rates is one of the most difficult decisions for virtual assistants just starting out. It can be easy to overlook some expenses and start off too low. The result is that you’ll end up having to work longer hours to make enough money just to break even. This can leave you feeling stressed about money and anxious about completing your workload and may cause you to abandon your VA business all together. The first thing you need to do is sit down and figure out how much money you need to be making. Do this by writing out all of the monthly expenses (mortgage/rent, phone, cable, groceries, savings/retirement, etc) you are responsible for along with extra spending money you would like/need. It is a very eye opening exercise to get all of this down on paper and see what you actually need. Next write down how many hours you will be working each month. This has to be a realistic number – take into account interruptions if you have children at home and be sure not to count the time for your own business development and marketing. From there you can calculate your hourly rate by dividing how many hours you can work into how much money you need to make each month. For example, if you need to make $2,000 per month and you will be working 50 hours per month it works out as: $2,000/50 hrs = $40/hour. So you need to be making $40 per hour. Now you may not be able to start off with this rate if you are a new VA, but it’s important to know where you need to be. This will also help you calculate how many clients you need to make it happen. Another option is to start off with service packages to ensure your hourly rate is met. 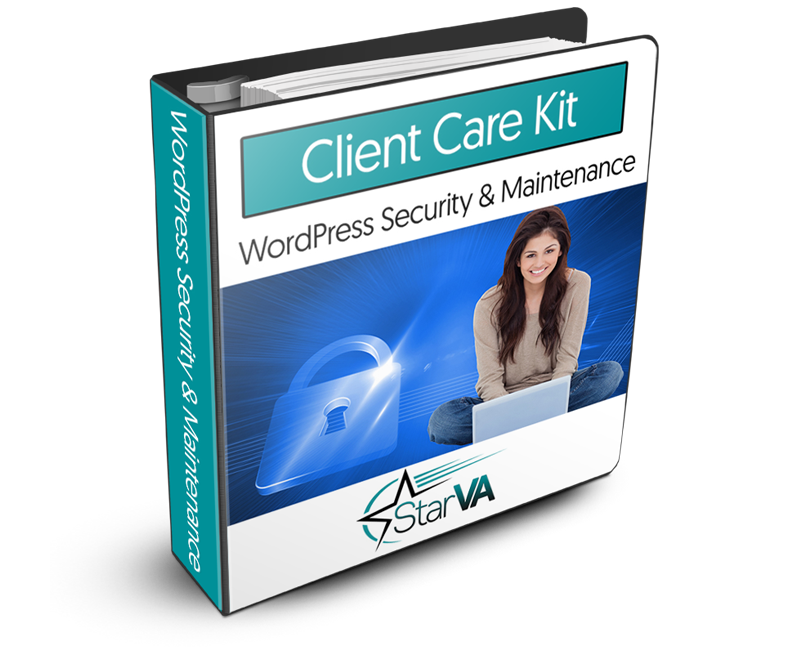 You can read more about creating packages in your business here. You can’t stop there, however, there are more things you need to take into account and we will go over them next. Some projects demand frequent communication. If you’re a new virtual assistant, you may not think to charge clients for that hour-long Skype session where your client picked a branding color. But you showed up for that meeting and your time is valuable. Whether it’s Skype video conferences, email messages, or phone chats, always remember to factor in communication time when quoting a price. Keep in mind that your communication time will vary by client. Some clients are fine with an email update once a week, you just need to remember to charge for that time. It’s hard running a business and tending to kids. If you have young children that will need supervision while you work, you’ll want to hire a nanny or babysitter to watch them. This is the one cost you won’t want to skimp on, so make sure you include it in your expenses (like I mentioned above) when you’re calculating the hourly rate you’ll be charging your clients. Let’s say you quote a graphic design project for your client. You give them a low quote because you think the project will be simple. You create what your client wants and turn it in. But then, your client wants revisions that will take you hours to make. To avoid situations like this, you need to plan for revisions in your estimates and state how many revisions are included in the quote. Otherwise that $30 an hour rate could turn into a $7 an hour rate…yikes! You’ll want to check with your local tax advisor for information on how much you need to hold back in taxes each year. But many virtual assistants working at home find that their tax rate is around 15% of their earnings. Depending on how much you earn, you may want to look into paying your taxes quarterly so you aren’t responsible for a large sum on April 15th. This was a rude awakening for me after my first year in business! Be sure and tuck a percentage of your earnings away so tax time isn’t so difficult. Getting clear on how much you need to earn from your virtual assistant business is an essential starting point. Then you can make a plan for how you will make it happen without starting out too low. Remember you are adding value to your clients, so don’t get tripped up on the numbers. You are worth it. Eventually you will be able to take on fewer projects without stressing about money.